Nickelodeon International has unveiled another Canadian creation. This one is Jo Minkus, from Sheridan alum Benjamin Anders. It’s a ton of fun. 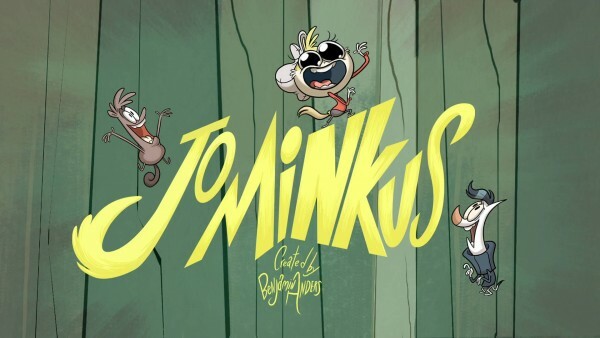 Jo Minkus from Nickelodeon International on Vimeo. This film was originally conceived during Ben’s time at Sheridan, and a lot of people noticed it at graduation time. I remember it well. It’s easy to understand why Nickelodeon went after him. It remains a shame, however, that something like this couldn’t receive the kind of support here in Canada that Nickelodeon was able to offer. Sure, they’ve also go the name to go along with it, but there’s a lot more than comes with that. But really, here’s what we’ve got. Another talented Canadian cartoonist making a cool cartoon. Congrats Ben! Here’s the Jo Minkus Tumblr. This entry was posted on Tuesday, January 19th, 2016 at 10:18 am	and is filed under showcase. You can follow any responses to this entry through the RSS 2.0 feed.